When looking for neatly done line striping services, look no further than Surface Strip-ing and Painting in Pittsburgh, Pennsylvania. We provide pavement markings and other painting services for various spaces, such as parking stalls, handicap stalls, and garages. Started in 1976 by Ernest Darby after realizing a need for this type of business, Surface Stripe-ing and Painting offers professional and expert analysis of all spaces and can transform your present space into a more desirable area in which to work, live, and shop. Our skilled staff produces quality work, will enhance the appearance of your present space, and will satisfy your employees, tenants, or your customers' parking needs. 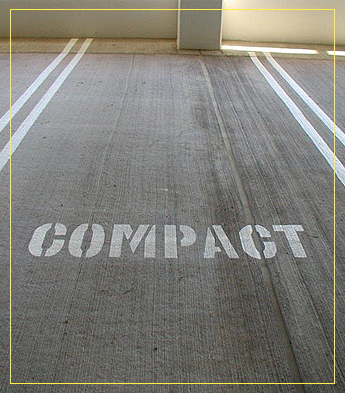 We apply all American Disability Act scoping and technical requirements for car and van parking. We provide consultations and free estimates at reasonable prices. With us, no job is too small or too big. We work at your convenience—day, evenings, or weekends. with our parking lot striping services. Monday - Sunday: We work at your convenience.